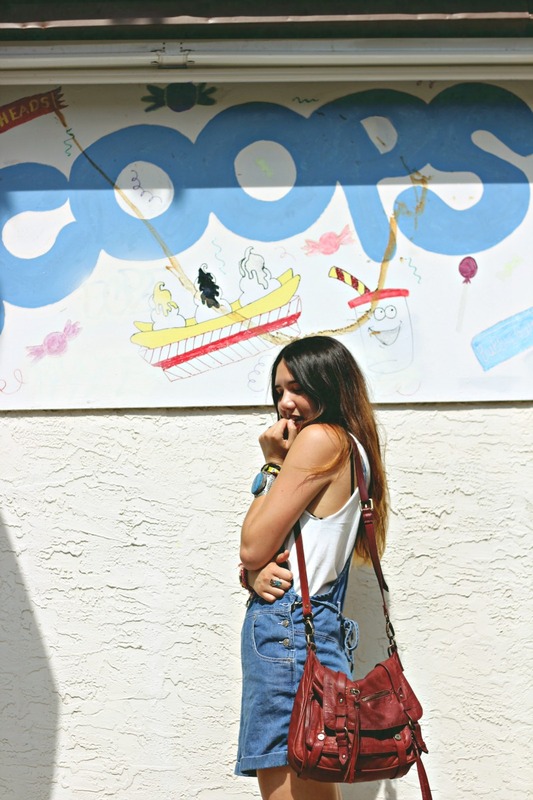 Keeping my inner child alive with my overalls and ice creams cones. 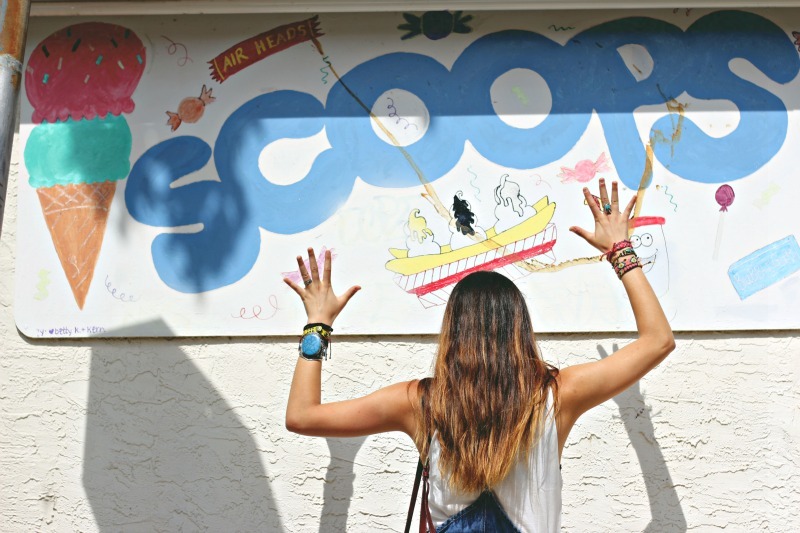 Scoop is the local ice cream shop back in my old Philly hood. The perfect break on those scorching summer days. I picked up these overalls at the vintage warehouse at the bottom of the dusty overall/jumper box. What a dream. I didn't even have to try it on before being completely convinced that it had to come home with me and that I had to change into it as soon as I walked in my front door. P.S. My ombre is officially non-existent thanks to an amazing dye and cut at Arrojo a few days ago. I still have plenty of posts to come with the dreaded ombre, so let's appreciate it while we still can. Such cute photos! I adore the overalls, and that location is so fun! Love it! I love these photos! 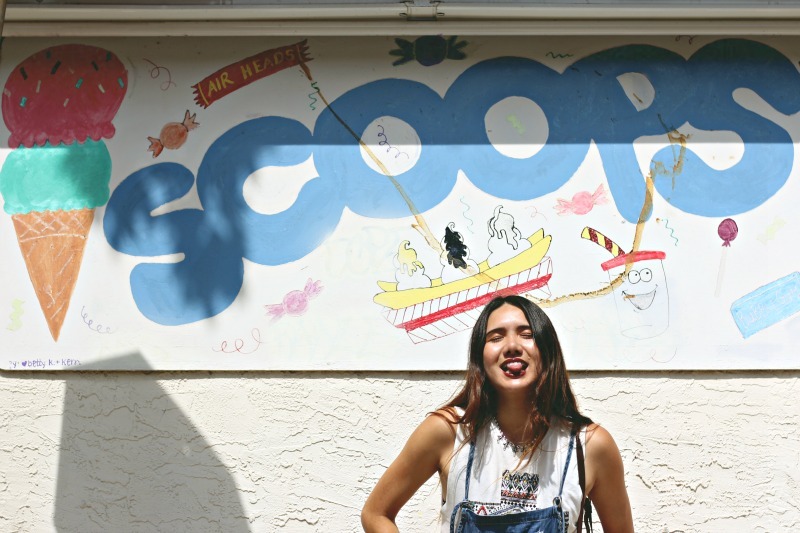 Your overalls are adorably perfect with the ice cream backdrop. Love those overalls! Bravo on a fabulous find - and you look adorable! Those are just the cutest overalls. I love how they tie at the back!